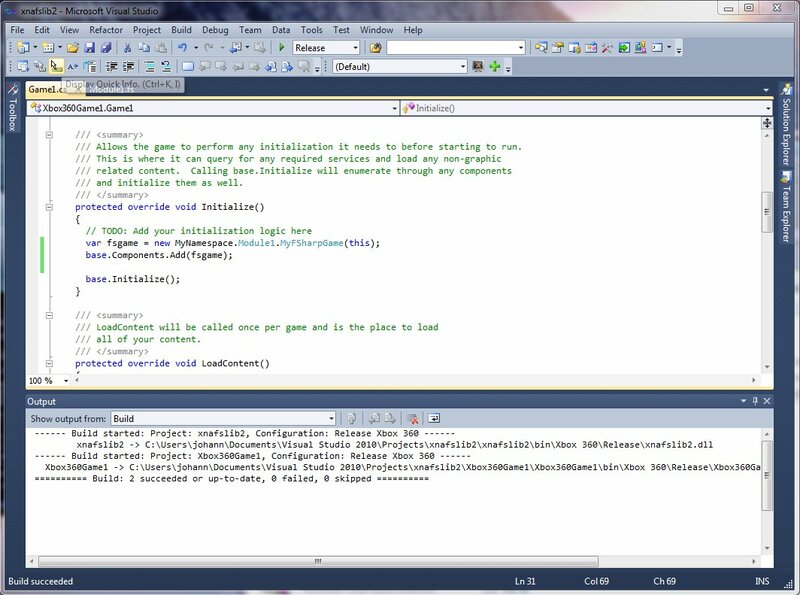 A project for creating an F# library for the Xbox 360 using XNA Game Studio 4.0. Note: you must install XNA Game Studio 4.0 first. 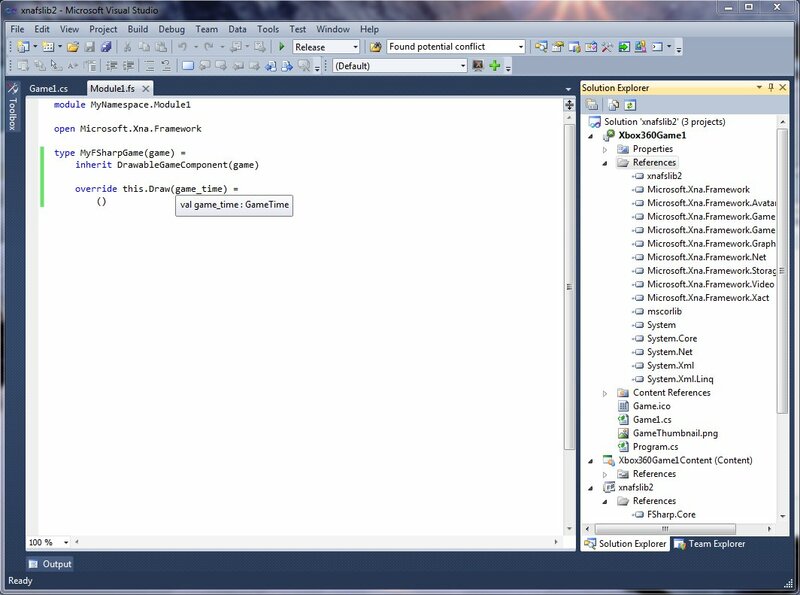 This project template gets you ready to write games for the Xbox 360 in F#, using the XNA Game Studio framework. Requires XNA Game Studio 4.0.